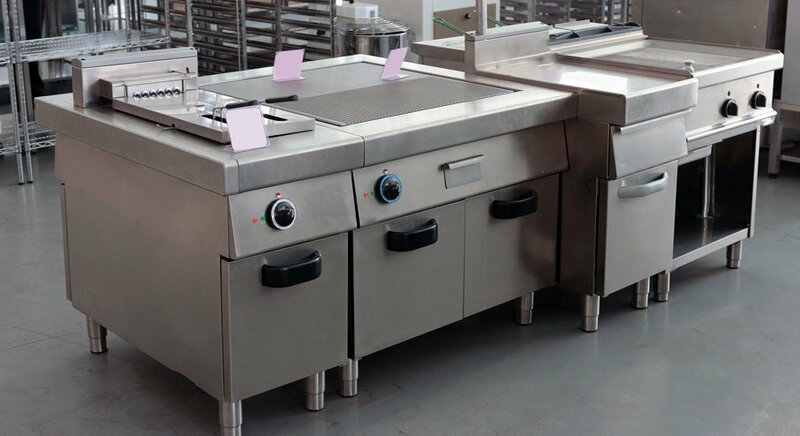 For any catering business, café, restaurant, bakery or food product manufacturer, the success and efficiency of the kitchen or factory is heavily dependent on the commercial equipment and appliances used within it. These businesses simply cannot operate and generate an output without these vital pieces of equipment. This makes commercial kitchen appliances financially valuable for not only their individual product cost, but also for the pivotal role they play in keeping the business working every second of every day. Whether it’s a commercial display fridge, Bain Marie, freezer unit, food packing machine or deep fryer, having these products delivered to your business safely is absolutely critical. Get quotes to transport commercial appliances today! Get 3 Quotes for commercial appliance delivery. It’s free to request quotes. Deep Fryers: Commercial deep fryers can be large and bulky and need to be moved with care to ensure they arrive in the same condition they were picked up in. They’re also expensive pieces of equipment and are important to the running of a business, which makes finding dependable transporters all the more significant. Bain Marie: A Bain Marie is an indispensable shop appliance for most direct to customer food service establishments, such as cafes and restaurants. When looking for a transporter for your Bain Marie, you’ll most likely require a business with trucks and trailers that feature hydraulic loading lifts or a tilt tray. Food Packaging Machines: Many food product manufacturers rely heavily on food packaging equipment in the day-to-day running of the factory. Without these machines production simply stops. Therefore, if you need to have a new or second hand machine delivered to the factory, you’ll need to find a transport company with the correct loading options on their truck or trailer to move this bulky freight. Sandwich Bar: Saladette, pizza or sandwich bars, and other refrigerated serveries, are usually on wheels which makes them far easier to load and unload for delivery. As the sandwich bar can be wheeled onto a tilt tray truck or by a hydraulically lift, more transport companies are likely to be available with the right truck or trailer to transport your equipment. Cooking Vats: From the small to medium cooking vats used in restaurant kitchens, to the bulky and large vats utilised in manufacturing factories, cooking vats can be difficult to load and unload for transporting. Therefore, you want to ensure your equipment is being handled with care by a reliable and reputable transporter that you can depend on. Display Fridges: Display fridges are utilised in restaurants, cafés and convenience stores. New purchases or business relocations are common reasons to relocate a display fridge. When in transit, the fridge must be kept upright and care should always be taken with the glass front to ensure no breakage occurs. Freezer Unit: Commercial freezer units can include tall meat aging freezers through to extremely large workbench freezers. A driver will need a truck or trailer with a hydraulic lift in order to load and unload the freezer safely and to ensure it remains upright whilst loading. The dimensions of the freezer unit will also impact the size of the truck required to deliver your freight. Baking Oven: Commercial baking ovens are used in bakeries, café kitchens and restaurants every day and are an integral piece of equipment to ensuring product output. Due to how heavily you depend on these appliances for your business, engaging a transport company that is able to deliver this product safely to your local or interstate address is essential. Pizza Oven: If you’re running a restaurant and need a large industrial pizza oven delivered, it’s important to find the right team for the job. Pizza ovens are bulky items and the odd dimensions can make fitting it into a truck challenging. Finding a transporter with specific experience with these items can make all the difference. Food Warmer: To avoid wasted food and to meet Australian health regulations, food warmers play a vital role in the running of cafes and restaurant alike. They can be bulky items and often have a glass front. When it comes to shipping these items, they’re loaded with a tilt tray or a hydraulic lift. This broadens your chances of finding an available transporter. Cook Top: Gas and electric cooktops are large appliances that are primarily utilised in commercial kitchens, such as those located in restaurants. If a new purchase has been made and you need to have it shipped to your location either locally or interstate, then you’re going to need a dependable and prompt transporter to make sure it arrives safely. Ice Vending Machine: Within restaurants and bars, often there are commercial ice makers utilised by staff and sometimes ice vending machines available for customers. If you need one of these machines relocated, it must be done in the upright position. This means the truck driver taking on your job must have a hydraulic lift fitted to their truck or trailer. Ironing Press: Commercial laundry equipment can be bulky items that are difficult to have moved to your factory or business. This creates challenges and for this reason, you want to find a transport company who is experienced, dependable and understands how delicate machines such as ironing presses can be. Vending Machine: Both refrigerated, snack based and amusement vending machines are regularly relocated interstate or locally to homes and businesses throughout Australia. These machines can be highly valuable, especially if they’re antique or vintage, and, therefore, they need to be relocated with care. Water Dispenser: These appliances can come in many forms, including free standing and benchtops. Smaller water dispensers are easier to ship and can even be listed under courier items to find the best transport company. Whereas the bulky dispensers need an enclosed rigid truck with space for them to stand upright in the truck. Ice Cream Machine: If you’re looking to have a commercial ice cream or gelato machine moved to a factory or shop, then you need to find a transport company who has the right sized truck for your particular appliance. These items are expensive are indispensable to many businesses and for this reason you need to find someone reliable and dependable to do the job. If you’re looking for relocation and delivery costs and quotes from reputable transport companies for interstate or local commercial appliance relocation throughout Australia, then FreightQuotes is an effective online tool for doing just that. List your commercial appliance freight through our Get Quotes form and this will be sent to the transport companies listed with the FreightQuotes website. You’ll then receive 3 Quotes directly from our transporters and you choose which one works best for you. Simple, quick and convenient. Commercial appliance transport is available Australia wide. This includes interstate, regional and metropolitan freight covering all states and capital cities including Adelaide, Brisbane, Perth, Darwin, Melbourne, Canberra, Hobart and Sydney. You can also find transport quotes for workshop machines, courier items and general freight.